The new design has been ready for months, was just waiting to be implemented. I wanted a design that is much cleaner for the professional section, whereas I liked to stay playful with the personal section. 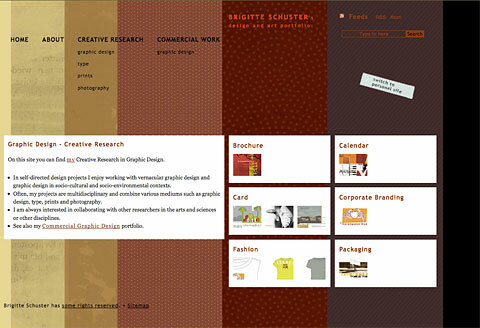 brigitteschuster.com has been coded by Sarven Capadisli and designed by me. 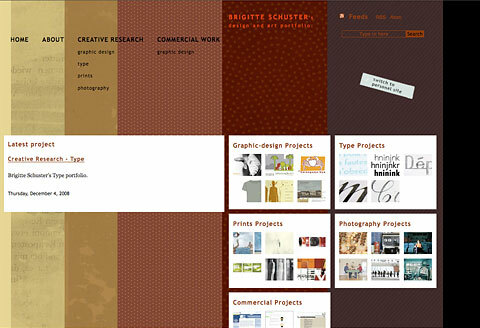 New is that the professional site shows only portfolio stuff. I devided Creative Research from Commercial Work. 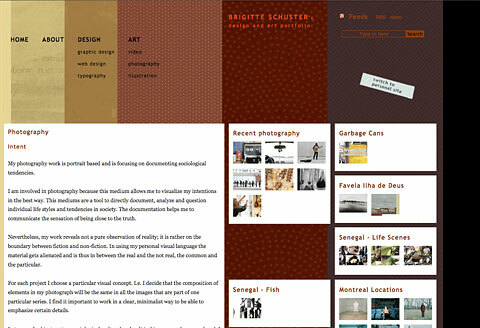 In the personal section, I publish my thoughts about life, design and art depending on my location. You can also search for keywords or browse in the Tags index or Article archives to find the site's content in a more comfortable way. 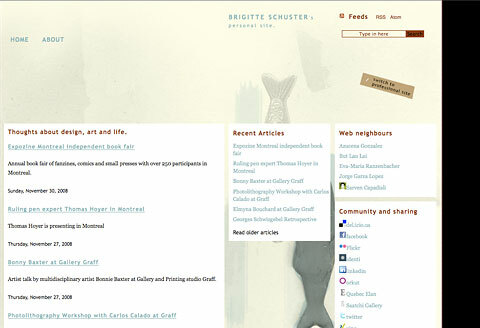 To automatically receive updated content on brigitteschuster.com, please subscribe to RSS or ATOM. To learn more about how to use RSS or ATOM Feeds please go to FAQs on RSS and ATOM Feeds. really nice new design of your website. Congratulations!! !